Russell Moore heads the Ethics and Religious Liberty Commission and the Southern Baptist Convention, but his influence appears not to extend to questions of politics. Christians have their own presumptuous elites, but choose to listen to their own good sense in these matters. Good. 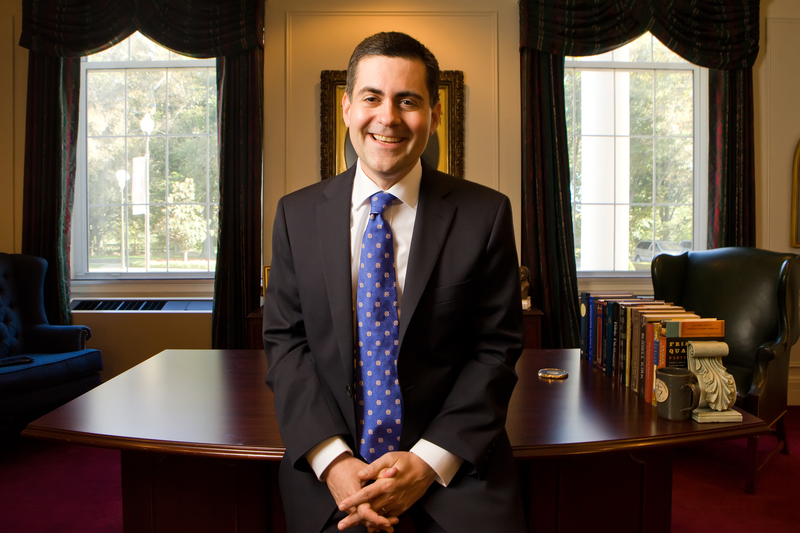 One of the more sanctimonious Never Trumpers this election season has been Russell Moore, the president of the Ethics and Religious Liberty Commission (ERLC) of the Southern Baptist Convention. Moore is a youngish ordained Southern Baptist minister and author of several books, with his most recent being an oddly written volume on how Christians should influence the culture. According to its mission statement, the ERLC exists to “assist the churches by helping them understand the moral demands of the Gospel, apply Christian principles to moral and social problems and questions of public policy, and to promote religious liberty in cooperation with the churches and other Southern Baptist entities.” Moore interpreted these charges as giving him free rein to issue in the pages of elite liberal “news” publications the strongest possible censures of Trump and any evangelical who deigned to think of casting a vote for the now-President elect. Why Moore thought it was prudent to air his grievances against his fellow brothers in Christ in The New York Times and the Washington Post—newspapers whose op-ed pages are frequently filled with denunciations of everything evangelical Christians stand for—I will leave up to the reader to decide. How putting down tens of millions of his fellow evangelicals comports with James’s admonition that Christians should “not speak evil against one another” is anyone’s guess. I was pointed in my criticisms, and felt like I ought to have been. But there were also pastors and friends who told me when they read my comments they thought I was criticizing anyone who voted for Donald Trump. I told them then, and I would tell anyone now: if that’s what you heard me say, that was not at all my intention, and I apologize. There’s a massive difference between someone who enthusiastically excused immorality and someone who felt conflicted, weighed the options based on biblical convictions, and voted their conscience. In a heated campaign season focused on sound bites, this distinction can get lost in the headlines, so it bears repeating. One would need to be an ignoramus not to see the utter disconnect between the frankly despicable charges he leveled at his fellow believers and the stance he now purports to have taken. Why did it take Moore well over a year to notice that many evangelicals took offense to his myriad condemnations? Why did this statement come out now and not before the election? And why is this statement so utterly at odds with everything he wrote previously? This attempt either to drag the wool over the eyes of his fellow believers or an inability to hold intelligible thoughts does not speak well of him. But these glaring inconsistencies haven’t deterred some of Moore’s staunchest supporters in elite “conservative” circles, which include the usual suspects such as the foolish Evan McMullin, the insufferable Erick Erickson, and the arguably unstable Glenn Beck. (Between Moore and Beck, however, admiration apparently only goes one way.) They and others who support Moore have continued on unabated, calling Trump supporting evangelicals racists (in a recent tweet storm, McMullin claimed that the GOP is thoroughly infected with racism) and heretics simply because they hold different opinions on political matters. Anyone looking for some quick laughs should read through a couple of pro-Moore pieces. Other supporters of Moore include Sojourners, the liberal evangelical magazine founded by Jim Wallis. Wallis is famous for advising Democrats on spiritual matters. He is also famous for taking money from George Soros in 2010 and lying about it when Marvin Olasky of World magazine called him on it. Involving himself with projects funded by the socialist billionaire is par for the course for Wallis. Another of Soros’s ventures in which Wallis is involved is the Evangelical Immigration Table (EIT), a front organization that advocates for mass amnesty of illegal immigrants using biblical-sounding language. Among the list of “influential signatories” on EIT’s webpage is none other than Russell Moore. Considering that Moore has called Jesus an “illegal immigrant” and has noted that the Savior was “a dark-skinned, Aramaic-speaking ‘foreigner,’” his advocacy in conflating the citizenship of this world and the next is not surprising in the least. Another facet of Moore’s Rawlsian-influenced theology is to harangue evangelicals who do not support the narratives set forth by radical groups such as Black Lives Matters. After Darren Wilson was acquitted in the death of Michael Brown, Moore took the Obama approach in his commentary: we don’t know all the facts but racism. He cited the fact that blacks are more likely to have runs in with the criminal justice system and seemed to suggest that racial profiling and disparate sentencing are the causes of this disparity—not the disproportionate levels of crime blacks commit. Instead of analyzing the facts at hand, Moore seems to assume that the idea of racist cops nationwide going on killing sprees is a priori correct. (I say “seems” because he is purposefully vague, only citing a “problem” that must be fixed without clearly stating what that problem is; the surrounding sentences are highly suggestive of support for the notion that the “problem” is racist cops). After a jury acquitted the arresting officer in the Eric Garner case, Moore without knowledge of all the facts casually asserted that race was the deciding factor (the fact that the sergeant who oversaw the arrest was black should have given him some pause). If Moore is representative of elite thought in evangelical Christianity, then it is just as hollow as its elite counterparts in the “conservative” movement. This means that it is all the more important for evangelicals to do the hard work of studying Scripture and seeking out its application in their own lives, families, churches, and communities. Unfortunately, it seems that their home grown elites cannot be of as much help to them in this endeavor as they may previously have believed. But given that fact that Trump garnered such strong support among evangelicals in the election, evangelicals evidently couldn’t care less about what their elites think, anyway.